If you are outside of Asia or don’t have kids you may be reading this and still asking what is Meipai? In China, there are various social networks with a focus on different functions. Weibo is China’s most popular we-media platform, similar to Twitter. WeChat is China’s most popular chatting app that also offers the function of a news feed, ability to pay, book cinema tickets, flights, etc. For short videos, Meipai might be the most popular platform in China. It usually has 250 million daily views. Some people even think Meipai is the leading Chinese mobile video platform. And it might be, thanks to Weibo. The two have now linked to each other, which has given Meipai stable and non-stop growth and traffic. Considering its huge group of users on the platform, it actually gives marketers another online social media platform in China in which to advertise. 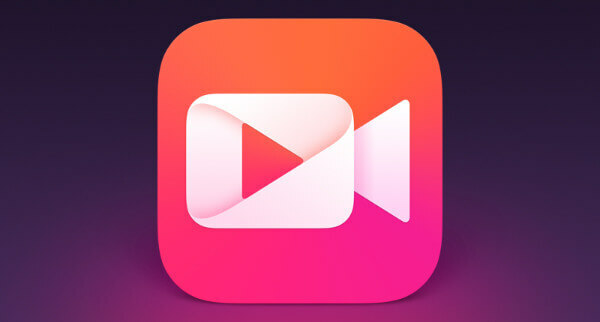 Meipai has been nicknamed ‘Instagram for video’ by Facebook’s chief product officer – a fairly obvious connection as it enables users to be creative and express themselves in the same way Instagram does, except in video format and without the clunkiness of IGTV. It’s also incredibly easy to use – you can use the app to shoot short videos, apply filters and effects, and share your personalised videos with either your friends or the general public. Meipai is a product of Meitu Inc, a technology company that makes smart phones and photo apps. It was launched in 2014 and rapidly became very popular. These days it has over 170 million users and 250 million daily views, although these numbers continue to grow every day. Of course Meipai can also be used as a digital marketing tool, to post or stream interesting video content and smart brands across Hong Kong and Asia are already using it to tap into the lucrative mainland China market. As we know with other social media networks, the audiences based on them are often looking for interactive experiences that speak to them personally, rather than generic marketing or advertising that requires little or no real interaction or connection. So rather than using Meipai to directly advertise, use it as a tool for connecting with your audiences and entertaining them or brightening their day. If you can nab a popular entertainer or a KOL (key opinion leader) to present some of your video content, all the better! Use Meipai to showcase your brand online. Consistency is important when it comes to brands, so it’s important to make sure that the videos you create match well with your brand image and story. Build audiences by inviting users to post their own content for rewards (such as red packets containing digital money). Improve the visibility of your videos by attaching a hashtag or topic-of-interest category, so people who are looking for content on a particular topic can more easily find your videos. Use the photo MV feature to create a slideshow using some of your still images. Before you engage in a Meipai promotional project, you should get to know the four key functions that can help you conduct your marketing campaigns in a little more detail. If you’ve not been on the platform yet or don’t have a social team to the leg work for you here is a basic breakdown of these four main functions. To encourage both users and brands to do marketing and promotion campaigns on Meipai, they have created a “reward” function. This function is very useful for brands to engage with their potential and existing clients through the User Generated Content collection. The activity organiser can launch a thematic competition with red packets, which have money rewards in them. This encourages users to take part in this activity by posting their own different, short videos in the hope of winning the red packets. The more “likes” they get, the more red packets they will get. Due to the links between Meipai and Weibo, and Meipai and WeChat, the competitors will tend to post and share their videos on Weibo and WeChat as well, which can help them generate more “likes”. At the same time, the organisers will generate more potential clients and lift their awareness. “Hash tags”, are a very familiar concept to most of us now as they exist on Instagram, Twitter and even LinkedIn. They are also popular and widely used on Meipai. People can tag their videos in different related topic tags in order to generate more views. Users who then may be searching for a topic they are interested in could type in the key word with a # before in order to bring up all the posts that have been tagged with their search word. Videos will then appear in order of popularity. It is essential for brands who are looking to lift their exposure on Meipai to use hashtags correctly and to use them for every post. The function of “Channels” actually divides videos into different types, which is convenient for users when searching for videos of a topic they are interested in. Some of these categories include “Hot”, “Friends”, “Beauty”, “Stars”, “Fashion”, “Social”, “Funny”and so on. “Hot” defines the group of most popular videos that are currently trending on Meipai. “Friends” is a channel full of the videos posted by your friends on Meipai. Moreover, the videos in the channel are ranked by popularity (amount of views and likes they have received), and how popular their individual uploaders are. This function can be a highly efficient function for brands to define which KOL’s are most popular and more importantly most suited to their brands. During some special national festivals, Meipai (just like WeChat and other platforms) will launch different campaigns to drive engagement. For instance during the Spring Festival (Chinese New Year), it is tradition for Chinese adults to give children red packets with money inside to celebrate. To mirror this, Meipai created a campaign that replicated this activity called “Grab the red packets”. This campaign allowed users to generate red packets when they were watching videos recomended by Meipai based on their previous searches. Meipai required users to share news of this activity on other Chinese online social platforms, such as Weibo or WeChat first, and then they would recieve their red packets. If you are looking to reach mainland China audiences Meipai is a great social platform to use. Like any platform it should be considered within your broader social media video strategy and as part of your visual content ecosystem. For a hot tip on video for Meipai – shorter brand content works best (6 to 10 seconds in duration) which can pose challenges for how you build and craft these videos effectively (my advice is to work with an agency like APV who actually understand how to build a strategy and execute these videos). KOL content on the platform can run longer I’ve seen videos over 60 seconds that still drive very strong views (you can upload content up to 5 mins in duration onto the platform).